If you and your boo/bae obsess over White Castle sliders and fries, your dream meal might just be the chain’s annual Valentine’s Day Dinner. According to delish.com, for 28 years, White Castle has been going all out for V-Day, decking out its restaurants in red and pink balloons, tablecloths, and menus and serving guests a proper sit-down meal. As of today, White Castle’s February 14th dinner reservations are officially open. You can snag a table at most outposts between 4pm and 9pm via OpenTable (online or the app). And this year, for the first time ever since White Castle starting serving Valentine’s Day dinners, the chain plans to deliver to homebody lovers. According to a press release, White Castle will deliver exclusive “Love Castle” Crave Cases to certain lucky people. The longstanding in-restaurant event has become a tradition for some couples, and we can see why. (Last year, 30,000 people took part in it.) Low-budget meal, burgers, and no one judging if you wear stretchy pants. Sounds like a dream. Some people do make it fancy, though. 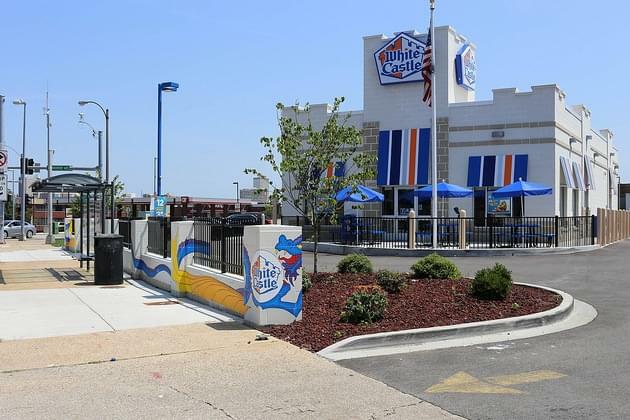 “We even have many Cravers who have shared their wedding vows among friends and family in our dining room,” White Castle Vice President Jamie Richardson said in a statement. In past years, the special menu has featured punny combos like “Love At First Bite” and “Eggspress Your Love,” which came with breakfast sliders for two. There’s also a special Chocolate-Covered Strawberry Smoothie made with strawberries, yogurt, and Ghirardelli chocolate sauce, if you want to leave the chocolate-covered strawberries at home this year. In an effort to make the fast-food experience a little more formal, hostesses will seat you, take your order, and bring out your food on Valentine’s Day. White Castle sets the mood with flower arrangements, table decorations, and a White Castle banner to pose in front of in case you want to ‘gram your night. After all, what is Valentine’s Day if not an excuse to go crazy on social media? Get more details about this event or if you want to make reservations, log online to whitecastle.com right now for more information!